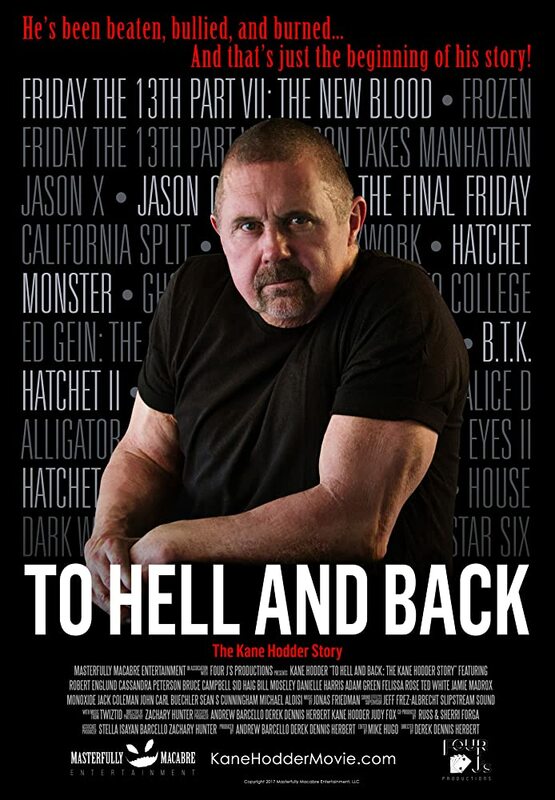 Kane Hodder documentary is a must-see for his fans, but easy for anyone else to skip – Cinema or Cine-meh? Here’s a bit of trivia that might help you at game night: Kane Hodder has played Jason Voorhees more than any other actor. The horror convention favorite first took over the role in 1988, with “Friday the 13th Part VII: The New Blood.” The following year, Hodder became the first actor to reprise the role, in “Part VIII,” then did it again in “Part IX” and “Jason X.” But the life leading up to the hockey mask is just as interesting. Growing up a meek young boy, Hodder suffered at the hands of bullies. At the lowest point, Hodder had vomit poured on his head. That led to behavioral problems, including risking his life to impress his friends, which organically led to an interest in stunt work. But shortly after his stunt career got off the ground, he suffered a massive setback, a near-fatal mistake that left Hodder engulfed in flames. He still bears the physical and psychological scars from his months of burn treatment. Stunt work was how he faced down those past demons and took ownership of the terrible things he’d suffered in his first two decades of life. And watching “To Hell and Back,” you can tell Hodder is proud of how far he’s come in the decades since. “To Hell and Back” marks the feature film directing debut of Derek Dennis Herbert, but it’s not his first documentary work. He was a production assistant on the documentary “GLOW: The Story of the Gorgeous Ladies of Wrestling,” which is necessary viewing if you enjoy the Netflix series the doc inspired. Herbert’s film has a low production value and is almost solely comprised of archival footage and interviews—including extensive and wide-ranging talks with Hodder himself, plus his former directors and co-stars, and horror icons like Robert Englund and Bruce Campbell. Despite the cheap appearance, the content is pretty compelling if you’re a fan of Hodder or of B-movie horror flicks in general (which comprise probably 98% of all horror movies ever made). It may not make for much of a movie, but if you’re interested in killing some time at home (and that’s the only way you can see it—it releases on Blu-ray and VOD on Friday the 13th of July…obviously), “To Hell and Back” is an interesting way for any horror fan to show an appreciation for the genre. Just don’t expect to be scared of Hodder this time around—in this highly biographical doc, you’re way more likely to laugh or cry than you are to scream.